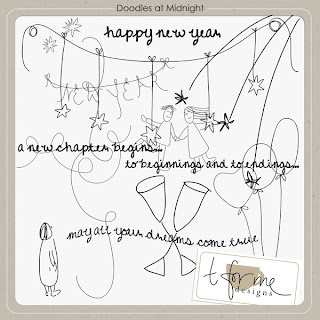 This is some fun doodles designed by T for me Designs, useful to create that little extra on your layouts. 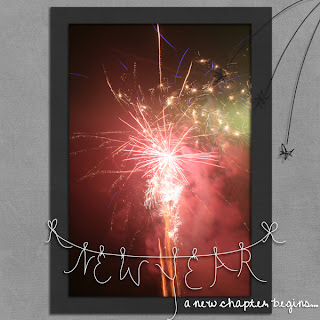 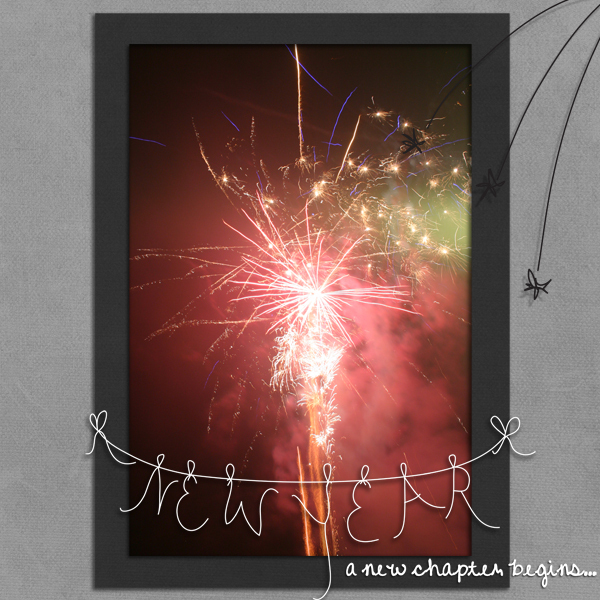 I made a page with a wonderful photo taken at New years eve some years ago. 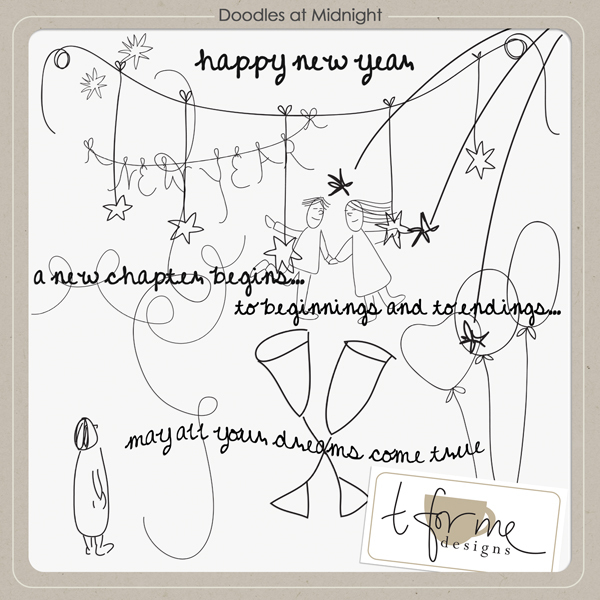 I've also used the new kit called Celebrating, by T for me Designs.